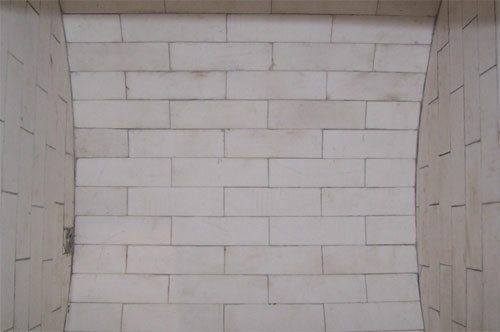 We use only high quality, fine-grain 90% (or 96%) alumina brick with tongue and groove design. Bricks are secured and grouted with pure Portland cement or two-part epoxy. When it is time to reline a mill that is also a good time to check the bearings and drives components. If the mill is old and has babbitted bearings we can machine the trunions and replace the old friction bearings with sealed roller bearings. We can also rebuild or replaced drive components including ring & pinion gears and reducers and motors. We reline all sizes of ceramic lined ball mills or pebble mills. 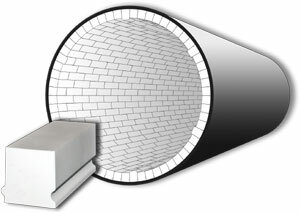 We can also replace Burrstone linings with alumina brick. 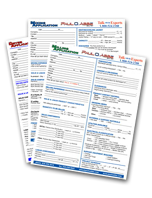 Relining can be performed at your facility or at our shop in Bensenville, IL. Polyurethane and rubber lined mills can be relined only at our Bensenville facility. We use only high quality, fine-grain 90% alumina brick with tongue and groove design. Bricks are secured and grouted with pure Portland cement. Two-part epoxy can also be used to provide a crevice free milling surface. 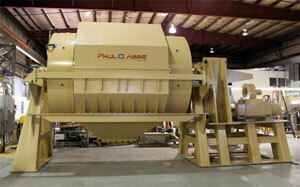 No matter what type of ball mill you have, we can help you put it back into productive service. Failure to follow these guidelines may result in brick damage and voiding of any warranties. DO follow the curing instruction exactly – too fast or too slow curing will cause the cement to crack. DO NOT drop grinding media directly into the mill. This will damage and crack the bricks. DO load the media gently by rolling the media in or fill the mill with your product first to cushion the addition of media. DO NOT operate the mill above 60%-65% of critical speed. Doing so may cause the media to cataract (fly through the void space) and strike the mill wall causing chipping or cracking of the brick. Below 65% of critical speed the media will tumble and cascade and give the most efficient milling. 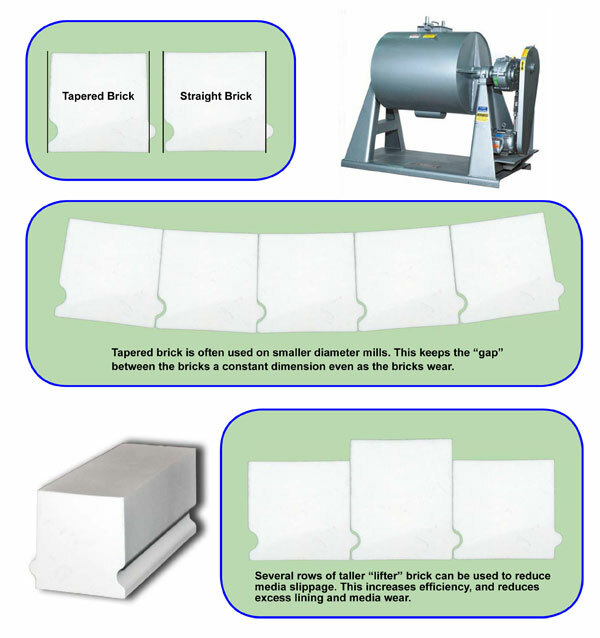 DO NOT drop the covers – The ceramic brick will chip and crack. DO NOT strike the covers if they are stuck. Use the lever points to pry the cover. DO expect some minor chipping of the brick around the cover gate and frames – this may occur as a NORMAL part of the break in. 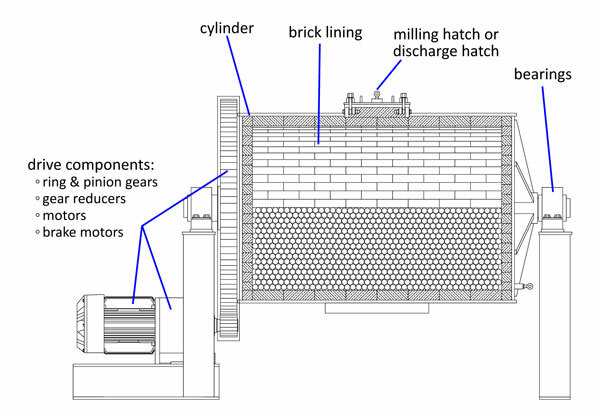 installation, media loading and operation of your mill. Call 630-350-3012 to speak to the Experts at Paul O. Abbe® so we can answer any questions you may have concerning relining or refurbishing your ball mill or ceramic lined mill.